Apart from the 12 names mentioned above, Amway India also received the award under the special commendation section. 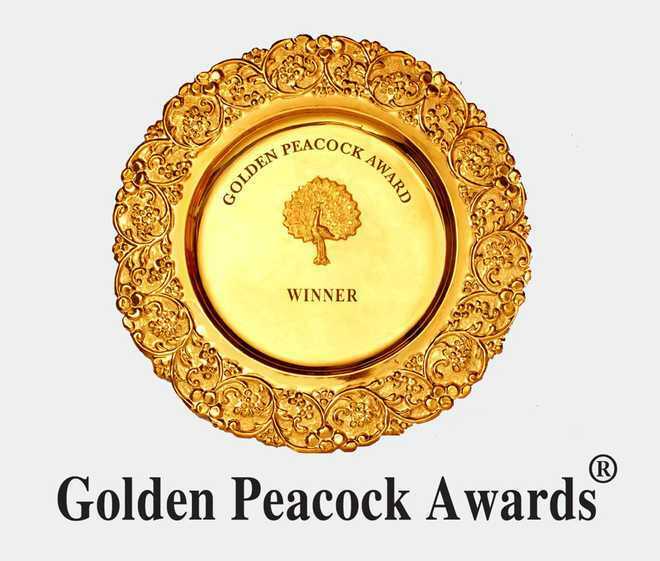 The Golden Peacock Awards, instituted by the Institute of Directors (IOD), India in 1991, are now regarded as a benchmark of corporate excellence worldwide. The selection process for the Award is rather transparent and includes a three-tier evaluation process based on internationally-recognised criteria. The Awards Secretariat has constituted an Expert Evaluation Committee comprising experts from various sectors who are invited to assess the applications. Each application is reviewed independently and the ones that satisfy the basic review requirements are shortlisted for the Awards. The applications are assessed on the basis of an exhaustive set of parameters as mentioned in the guidelines for a total score card of 1000 marks. Entries occupying top positions are recommended for consideration by the Jury. In some cases, the shortlisted finalists are also asked to make a 10-minute presentation followed by a questions and answers session lasting five minutes, during meeting for the final consideration of the Grand Jury. All institutions, whether they belong to the public, private, non-profit, government, business, manufacturing or services sectors, are eligible to apply for the Awards.